Twenty-three soldiers were killed in a Boko Haram attack in southwestern Chad on Friday, March 22, a military official told AFP. “Boko Haram elements attacked the Chadian army position at around 1 a.m., killing 23 troops,” the official said. 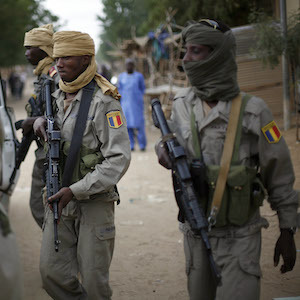 The attack, which took place in Dangdala, on the northeastern bank of Lake Chad, appears to be the deadliest attack on the Chadian military by Boko Haram. The assailants crossed over from Niger before launching the raid and “made off with military equipment,” the source said. It is unclear which faction of Boko Haram carried out the attack, but Islamic State West Africa province is the dominant insurgent force in the Lake Chad area.